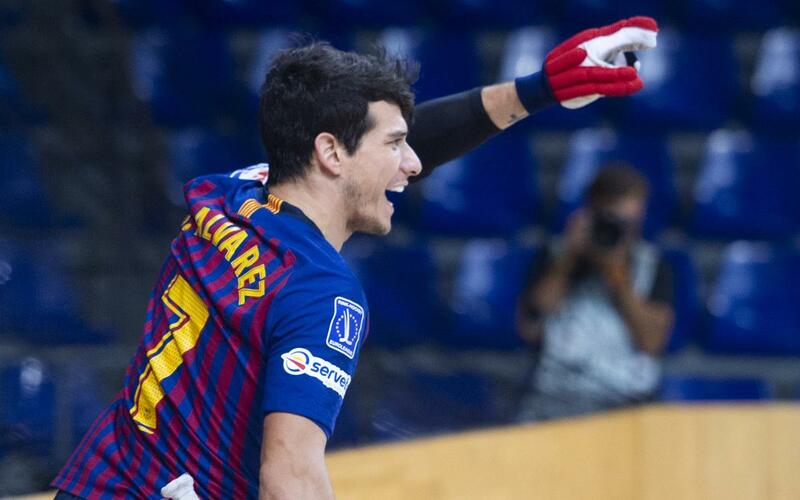 FC Barcelona Lassa routed Rècam Laser Caldes 5-0 on Tuesday night at the Palau Blaugrana for its third win in three games in the OK Liga. Barça are co-leaders. Marc Gual led the way with two goals, and Pablo Álvarez, Ignacio Alabart, and João Rodrigues chipped in with a goal apiece. Álvarez got things started with a goal in minute three, and two minutes later, Gual doubled the blaugrana lead. Alabart scored to make it 3-0 by halftime. After the break, Gual’s second goal made it 4-0, and the rout was on. Barça goalkeeper Sergi Fernández had to come out late in the game with a cut to his chin, and Aitor Egurrola came on in relief to seal the victory. After Egurrola came in, Rodrigues scored Barça’s fifth of the game to certify the triumph.